Julie and Ryan’s elopement in Telluride was absolutely magical!! 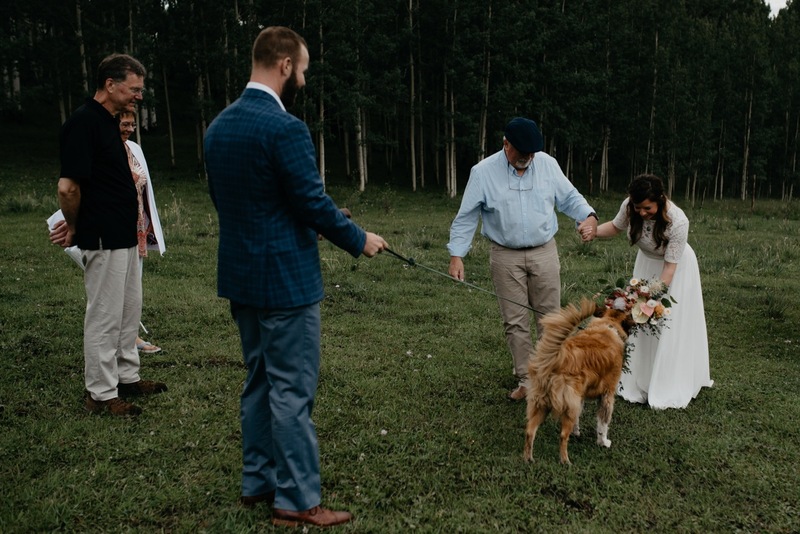 They got married at a super cute AirBnb in Telluride with just the two of them, their parents, and their sweet old pup Marley. Their day was so relaxed, fun, full of love, and so them. I met Julie and Ryan over a year ago when I did a cute little mountain session for them and their pup. We clicked immediately and I was so excited when Julie asked me to photograph their elopement in Telluride (which is one of my fav places on earth!!!!). Funny story - I met Julie through a women who hike group and our husbands work together at the same company but we didn’t even know it!! I did their shoot and literally knew her and Ryan for like 6 months before it clicked LOL. I was at Tyler’s Christmas party and as I was leaving got a text from Julie asking if that was me… ha!! What a small world!!! It has been just the best getting to know them over the last year and being a part of their wedding!! Julie and Ryan are two of the most kind, down to earth, laid back people I’ve met and I am so thankful to have met them and to have them as not only clients, but awesome friends too. Shout out to Laure with Lumme Creations for making the most beautiful florals everrr (as always!!!) and Steven with Foster Creative for being the best videographer to work with! !